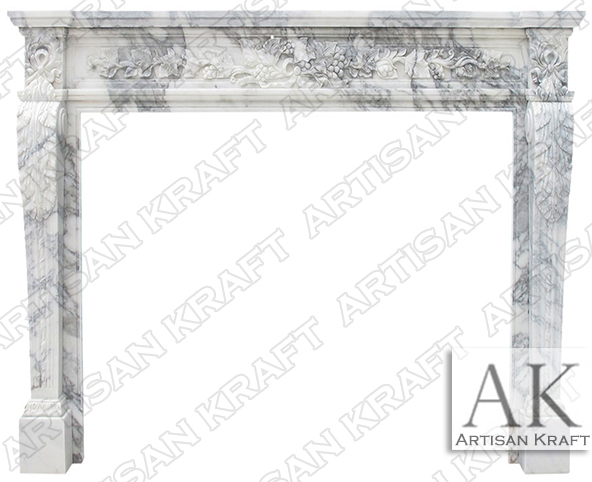 Capri Mantel is a unique Italian design with fine carved floral beauty. The stone is Italian Arabesco that comes from Italy. It is superior to Carrara. Finely carved vine and grape details all done by hand. 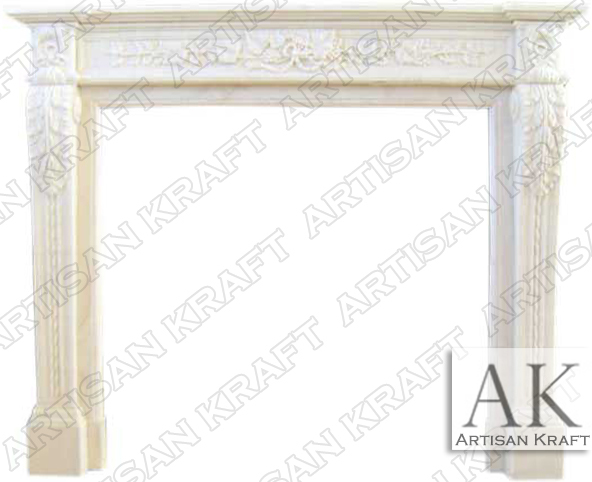 A classic style with corbels that have leaves flanking the sides supporting the grape vine shelf frieze. Italian Arabesco is a very expensive and high end marble for the most discerning of customers. Comes with hearth and inner surrounds that fit to thet firebox. Below is a version of this design in white. Surround takes inspiration from Italy and French stylings. While it may look like Carrara, Arabesco it truly better due to the way the black veining decorates the facing. It is available for quick delivery from stock in 1 to 3 weeks. Typical Dimensions: 68″ wide x 49″ high *can be made to custom dimensions.